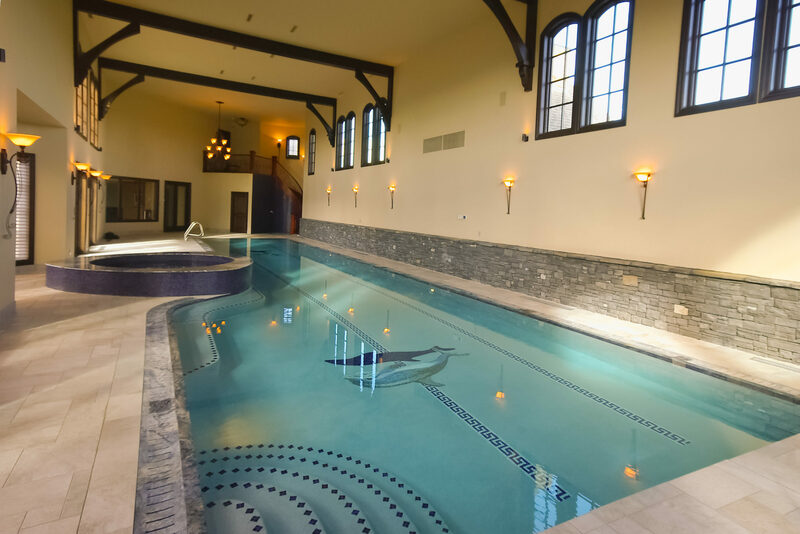 This elegant pool and hot tub was constructed in a separate wing of this luxury home. 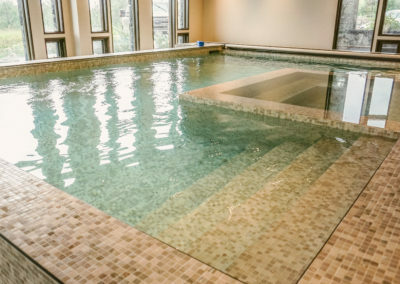 Being avid swimmers, the home owners requested a perimeter overflow pool edge to minimize the amount of water turbulence during lane swimming. 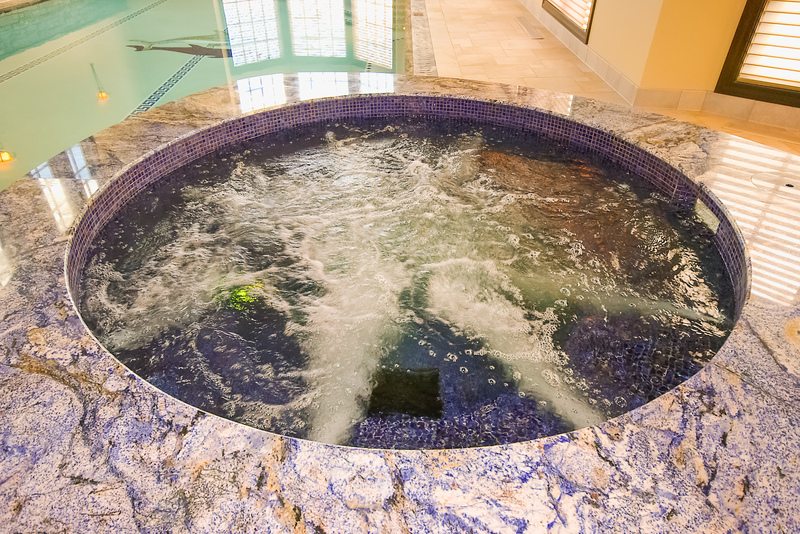 In addition, the perimeter overflow edge provides the best surface skimming action for any type of pool leading to extremely healthy water circulation and quality. 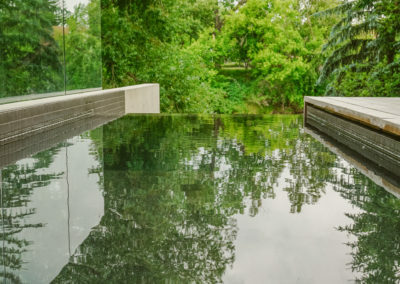 Lastly, by allowing the water and surrounding deck to exist at the same elevation, the perimeter overflow pool provides clean architectural lines and an aesthetic experience that is undeniably beautiful. 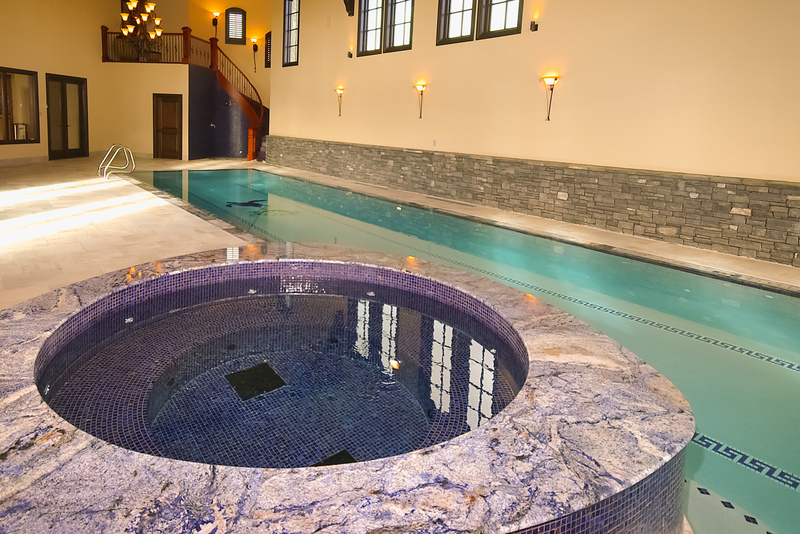 Custom waterjet stones finish the perimeter of both the pool and hot tub edge. 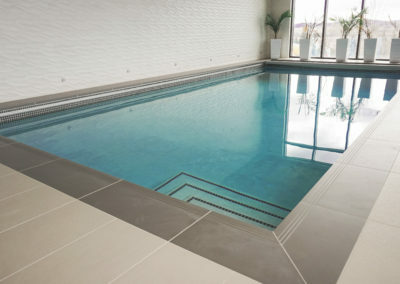 A Hydralux floating cover system controls heat loss, evaporation and humidity when the pool is not in use. 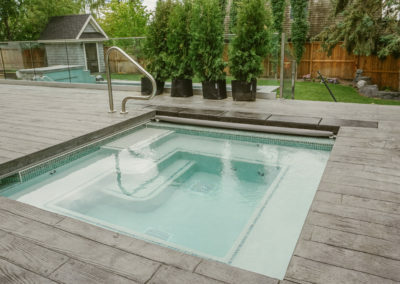 The hot tub runs on a separate operating system and the way it’s shape and finishes integrate and project out from the pool edge give the hot tub its own unique sense of sculpture and beauty.